Ahhh. Just look at this ombré skirt of tulle extravagance. Imagine getting out of bed in the morning desperately late for brunch with friends. You don’t have time to do your hair, so you wrap it up in a scarf. You grab your sunnies so you don’t need to rush your makeup. You already have a cute piped pyjama top on so all you need to do is reach for a skirt. And why wouldn’t it be this one? Thank you Giambattista Valli for this beautiful creation. 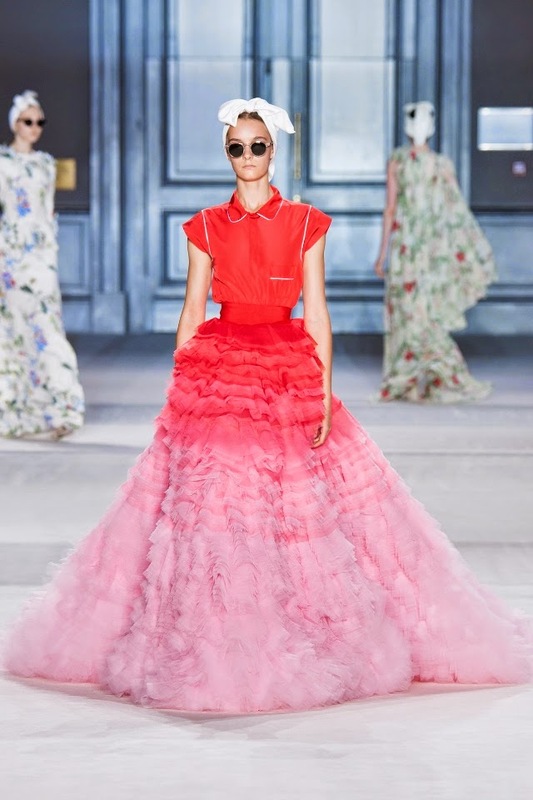 See the whole Giambattista Valli Fall Couture collection.